Rome features a 'chiplet' design with 7nm-based x86 cores surrounding a 14nm IO chip. AMD’s Ryzen 2 consumer CPU isn’t coming until 2019, but we saw hints of what to expect in “Rome,” the 64-core server CPU AMD unveiled on Tuesday. It’s based on a new 7nm Zen 2 core that’s likely to find its way into Ryzen 2 next year. Let’s take a closer look. 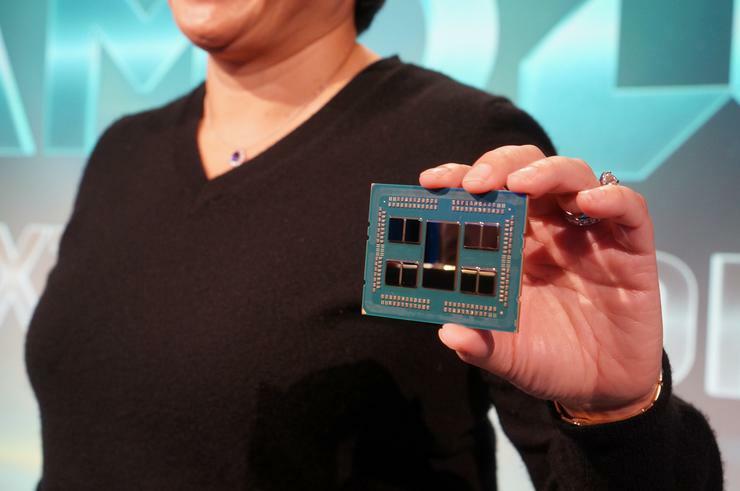 Each Rome CPU will feature 64 cores with symmetrical multi-threading for 128 threads per socket. The CPU itself is “revolutionary,” AMD said, and is built around eight separate 7nm “chiplets” with eight cores each. The chipsets contain no memory controller or PCIe, but are instead tied to a central IO chip built on 14nm. The IO chip has 8 channels of DDR4 plus support for PCIe 4.0. The company connects each chiplet to the IO chip via a 2nd-generation reduced latency Infinity Fabric. 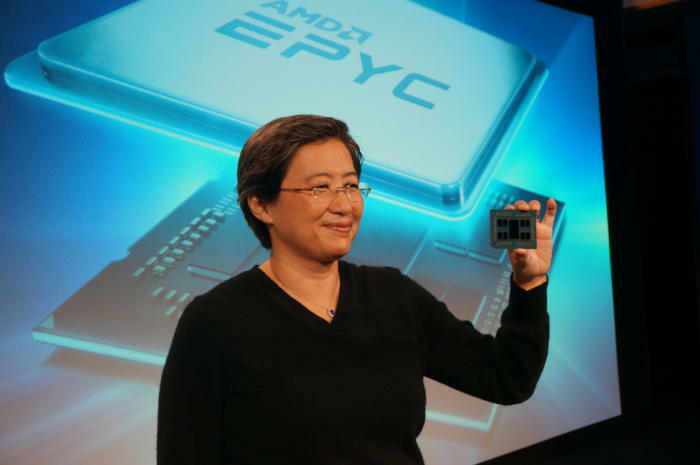 AMD’s latest “Rome” CPU features a basic chiplet design with the 7nm execution cores connected to a 14nm IO chip via faster Infinity Fabric. The chiplet isn’t the only new feature. AMD said it reworked the Zen 2 core to offer double the throughput, increased floating point performance, a doubled core density and half the energy use per operation of Zen. Compared to Zen, AMD said to expect twice the performance and four times the floating point performance per socket. Just the process improvements alone would give it a 1.25x performance bump if the power consumption were kept the same, the company said. And yes, it’s fast. AMD showed a pre-production, air-cooled, non-overclocked Rome outperforming a dual-socket Skylake SP with 56 cores and 112 threads in the floating-point intensive C-ray benchmark. 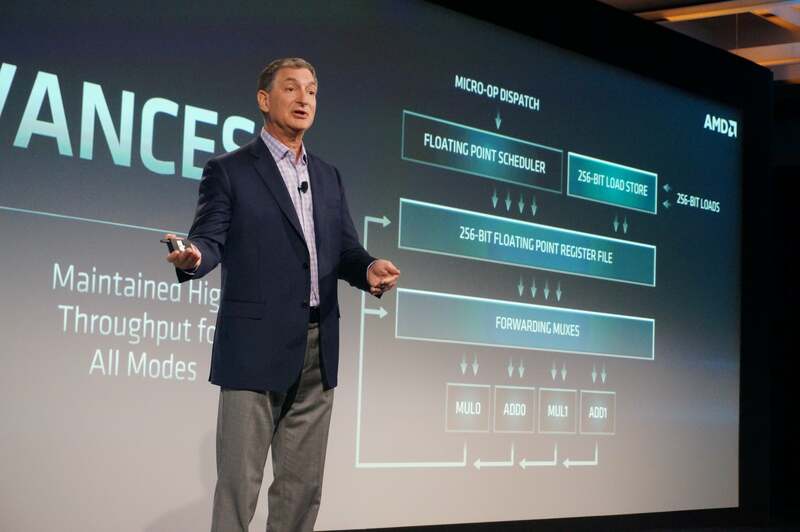 AMD’s Mark Papermaster says the new Zen 2 cores offer double the throughput of Zen and twice the floating point performance. So what does that mean for Ryzen 2? What’s not known is how much of the Rome DNA will make it into the consumer Ryzen 2 due early next year. At a minimum, we’d expect the same 8-core chiplets to be scaled down for desktop use. All of the front-end improvements, floating point performance, and efficiencies of the 7nm process are likely to make it a mean CPU. One area Moorhead isn’t sure of is the all-important laptop market that makes up the lion’s share of PC sales today. “It’s hard to say on notebooks right now and I need a bit more information on how AMD would implement this in mobile platforms,” he said. AMD has already said it’s committed to AM4 for its next-generation CPUs, so it’s likely Zen 2 won’t change that. Why this matters: Ryzen marked AMD's comeback in consumer CPUs, so expectations are high for the second generation. The company’s official roadmap for Ryzen 2 is 2019. Most expect the chip to launch in the first quarter of the year. We know Lisa Su is scheduled to deliver a keynote at CES in January. Many expect fireworks, which the company seems to have laid out already in Rome.